Yesterday, Bethesda Game Studios revealed their latest project in the form of Fallout 76. Scheduled for a major showcase at this year’s E3, this next installment of a venerated franchise has generated a lot of fan excitement. But it seems we’ll be learning more about the project immediately after Bethesda’s conference, thanks to Danny O’Dwyer over at Noclip. Noclip is a non-profit YouTube channel that provides top-tier documentaries, offering insight into major video game projects, franchises, and studios. Following the reveal of Fallout 76, the channel released a new trailer for yet another documentary series. Their latest coverage promises a never-before-seen look into Bethesda Game Studios, to “go on a journey through the history of Fallout,” and the series shall conclude with an exclusive look at the development of Fallout 76. According to the NoClip trailer, “The History of Bethesda Game Studios” episode will be made available on Tuesday, June 5th. “The Making of Fallout 76” shall arrive on Tuesday, June 12, two days after Bethesda’s E3 press conference. Since the channel is non-profit, watching the videos is as simple as logging onto YouTube. The on-site filming is made possible by fan donations over at the team’s Patreon. Bethesda’s E3 press conference will be held on Sunday, June 10, at 6:30 PM PT. 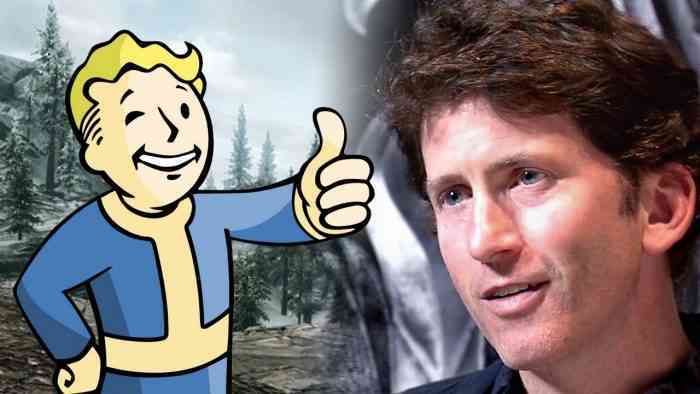 Recent reports indicated that Fallout 76 will be an online survival game, but we’ll know for certain by the time the show ends. We can also expect a showcase for Rage 2, so stay tuned for new gameplay and potential surprises.